I'm announcing the Official Evenings ALORS ON DANCE! 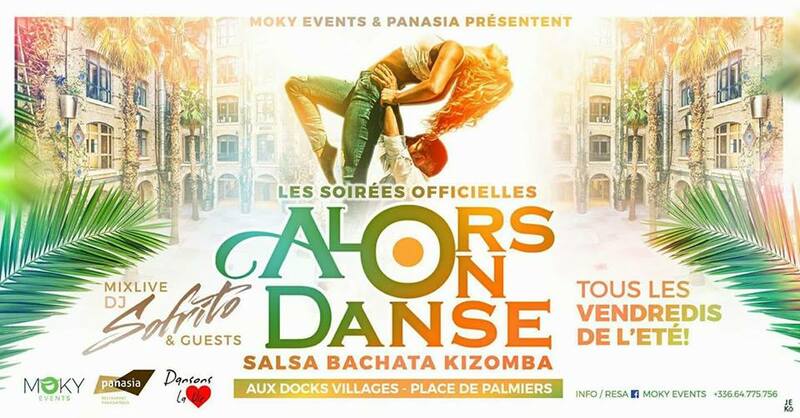 Bachata - Salsa -Kizomba which will take place every Friday of summer in an exceptional place and all in the open air. A 500m² open air dance floor on the Place des Palmiers which benefits from a unique decor. 19:00 it's time for the aperitif before attacking the dance class (bachata or salsa or kizomba) at 20:00 which will last 1h then all on track on the son of our DEEJAY OFFICIEL that we all know today = == >>> DJ SOFRITO.